Kehilla Community Synagogue » Executively Speaking: It Takes A Team! Executively Speaking: It Takes A Team! Thankfully my partner Julie showed up soon and then I got a text from my beloved friend Josh in New York asking if I could talk. Julie suggested that the three of us, as well as Josh’s wife and our son, all get on a skype call. A few minutes later, we were sitting together, taking turns sharing how we were feeling. When it was my turn, I was surprisingly calm and emboldened. Something about the fact that I was together with people I trust and love and, literally holding on to my family, allowed my mind to clear and the panic to recede. I could see that there was going to be a lot of work to do over the next several years and I knew there and then that I couldn’t do it by myself. I was going to need to join with and depend on others to make it through. At that moment, I was not afraid. As we got off with our New York friends, I knew I needed more. We quickly called around and found three more folks and had another impromptu support group. By the end of that one, I was ready to spread my web wider. I wrote to the Kehilla clergy and suggested that we gather first thing in the morning and out of that came the Kehilla community gathering the night after the election. It is a couple of months later, and I regularly find myself buffeted by challenging news coming out of Washington DC and New York. But I continue to hold onto what I figured out election evening – I can handle the work ahead as long as I have people to do it with. I count myself fortunate to be part of the Kehilla community and plan to hold tight to many of you as we face the challenges at hand. 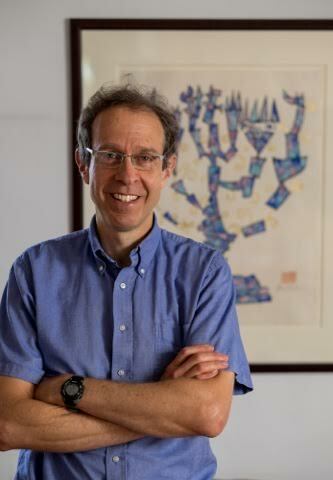 Kehilla’s Executive Director Michael Saxe-Taller’s love of building community has led him to work in many parts of the Jewish community, including at Berkeley Hillel, the JCC in Manhattan and at Congregation Kol Shofar in Marin. He has also been a community organizer working with congregations in the North Bay, building political power for the common good. 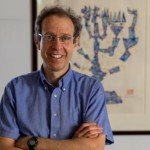 michael@kehillasynagogue.org, or call (510) 547-2424 x101.